Saturday, August 13 – 11:00 a.m. – 12:00 p.m.
2 beds, 1 bath, 744 sq. ft.
Why rent when you can own? 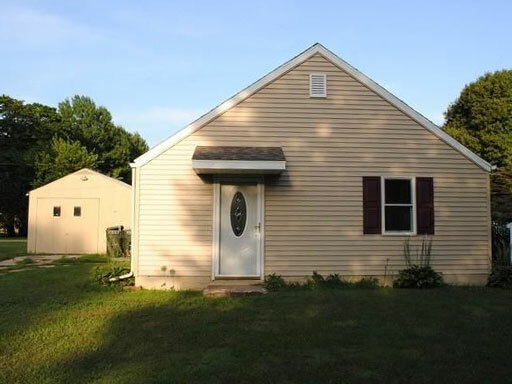 Adorable 2 bedroom ranch home offers new windows, flooring, and siding! The kitchen and living room are open concept. The island in the kitchen can be moved around. Beautiful exposed beam ceiling in kitchen. This home sits on a double lot and has it’s own well for watering the garden. Nothing to do but move in!